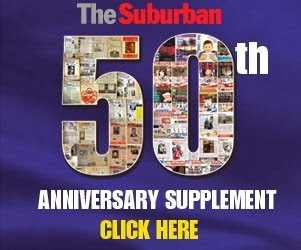 The Suburban.com - The Suburban - Mike Cohen: Is Peladeau candidacy good or bad for Quebec's NHL chances? Is Peladeau candidacy good or bad for Quebec's NHL chances? Is news that media king Pierre Karl Peladeau will be a star candidate in St. Jerome for the Parti Québecois good or bad for the return of the Quebec Nordiques? I would lean towards the latter. Quebecor spokespersons were quick to dismiss those concerns on Sunday, but I do not buy it for a minute. Peladeau`s Quebecor media empire obtained multimillion-dollar naming rights for the future hockey arena in Quebec City and made it clear that his goal was to find an NHL tenant to play there. Peladeau was exactly the type of owner Quebec City Mayor Regis Lebaume and NHL Commissioner Gary Bettman wanted. His TVA Sports Network just inked a huge deal with the league, but they will only have a handful of Canadiens games each season. Bell Media, which owns RDS, has a stake in the Habs so clearly there is room for the Nordiques on perhaps the main TVA stations. If the PQ wins the April 7 election and Peladeau is successful in St. Jerome, it is likely his involvement with hockey will end there. Or is it? Sure Quebecor could buy the franchise --likely part of an NHL expansion plan -but this was to be Peladeau's baby. He would certainly have been an active owner. As a Member of the National Assembly, a probable high ranking Minister and a very likely successor to Marois, he would be unable to involve himself in any outside interests. Perhaps voters in Quebec City will digest all of this and vote for the Liberals or the CAQ, hoping that Peladeau would choose an NHL team over sitting in opposition. The fact is the Nordiques left Quebec for Colorado because there was nobody with deep enough pockets to keep the team there. Who else is out there with Peladeau dollars? If I were Lebaume, I'd be pretty disappointed right now. 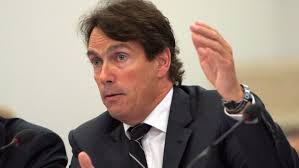 Quebecor officials insist they can pick up where Peladeau left off. Perhaps that is true and there is no question their empire has the dollars. But Peladeau was the personality the NHL desired. If the new Colisée building fails to attract an NHL team, Quebecor will pay $33 million for naming rights for 25 years, another $3.15 million per year for management rights, and it will also hand the city 15 per cent of profits from the building. But if Quebec lands a team, the fee jumps to $63.5 million.